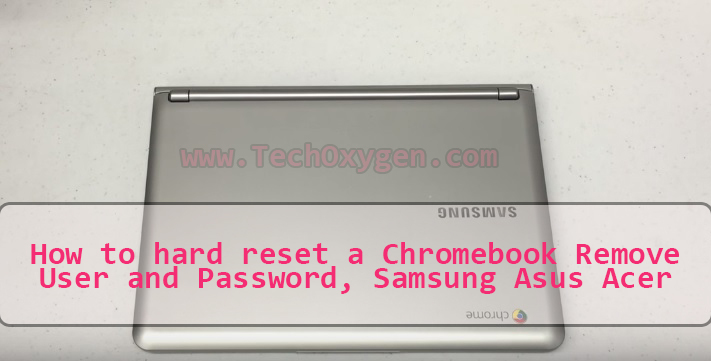 How to hard reset a Chromebook and Remove User And Password, Samsung, Asus, Acer. In this guide you’ll be learning how to reset/factory reset a Chromebook or removing the Password and User. This is Samsung 300 series but this procedure hard reset/resetting a Chromebook should work on any Chromebook model. 2nd Step : When you see the Password and Username and you don’t know the Password then Press “Ctrl + Shift + Alt + R” keys at the same time on your Keyboard. “Power-wash” and then “Confirm Powerwash” button for resetting your device, then the Chromebook will restart. Now you’re back to your new factory setting that’s the great tool specially if you wanted change ownership on a Chromebook or clean up the device. So this is a complete guide for how to How to hard reset a Chromebook and Remove User And Password, or password locked chromebook. which mean if your Chromebook is password locked of maybe you forget the password and you can’t login to it. Then this guide is very helpful for you to Reset or Factory Data Reset and removing the password or user.